The relationship between education and youth crime has long been recognised in terms of social policy and public opinion, the full extent of this and its implications has been largely neglected and unexplored: educationalists on the one hand and criminologists on the other have largely failed to engage meaningfully with one another on the issue, and there has often been a large gap between youth justice and educational provision. This book seeks to remedy this deficiency, providing a critical survey of the research evidence, policy development and practical issues relating to education and offending by young people. It has the following objectives: to examine the evolution of social policy and institutions in relation to the relationship between education and offending by young people; establish the scale and nature of the problem and the characteristics of the young people involved; identify any evidence based approaches that could be adopted across education and youth justice; review the effectiveness of New Labour's education and youth justice reforms; propose a series of measures for social policy makers and practitioners in education and youth justice. 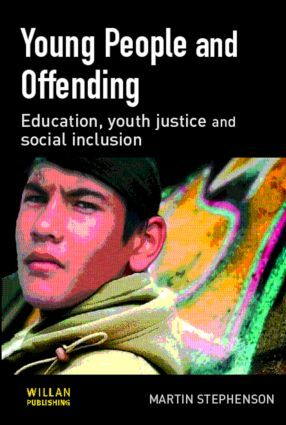 Young People and Offending will be essential reading for youth justice practitioners as well as students taking courses on youth crime and youth justice, or on youth justice or probation training courses.